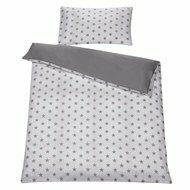 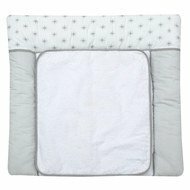 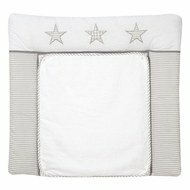 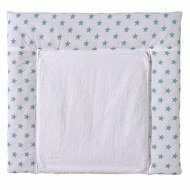 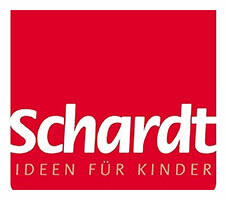 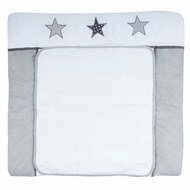 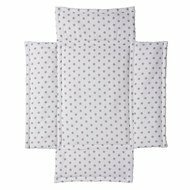 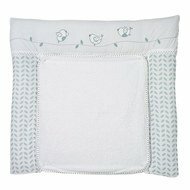 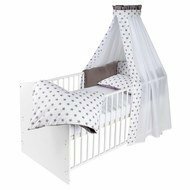 The Changing mat with terry cloth cover - Big Stars Grey from Schardt offers your baby and you a very special comfort during daily changing. 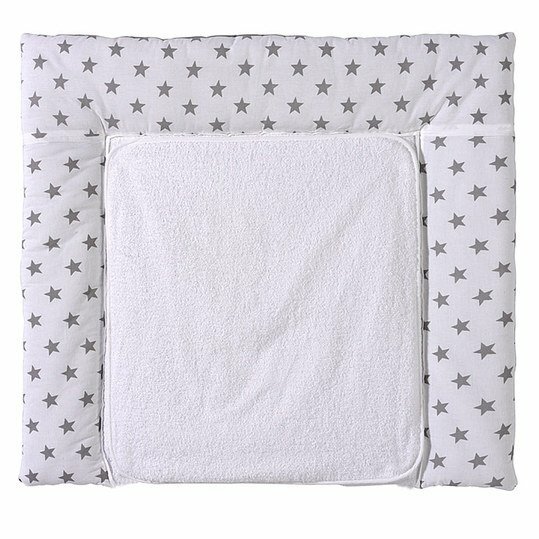 The removable cotton terry towelling pad nestles delicately and warms your baby while changing and dressing. 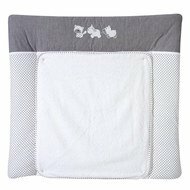 It is attached to the base by Velcro and can therefore be easily removed and washed. 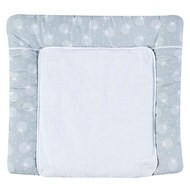 The soft padding of the changing mat made of polyester fleece provides additional comfort.